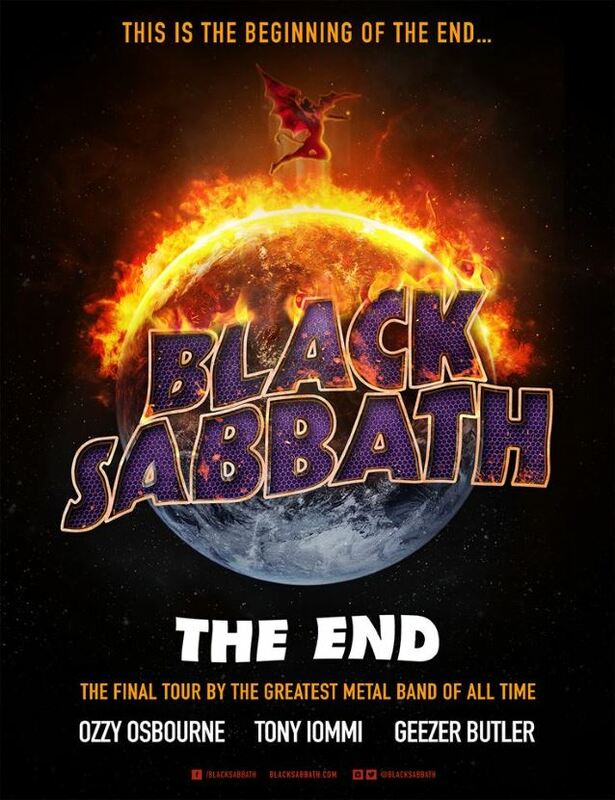 BLACK SABBATH last week announced the first details of a world tour that is being billed as "The End". The North American leg will start on January 20, 2016 in Omaha, Nebraska, ending on February 25 in new York City. Dates in Australia and New Zealand have been confirmed for April, with more shows to be announced next month. In exclusive interview with the Birmingham Mail, SABBATH guitarist Tony Iommi, who battled has been battling lymphoma since late 2011, stated about the band's decision to call it quits: "I can't actually do this anymore. My body won't take it much more. "I don't want [the cancer] creeping back again," he continued. "And all the travelling involved in SABBATH tours increasingly takes its toll. That's why we're going out on one last tour, to say our farewells. And then it very definitely is the end. We won't be doing it again." According to Iommi, his health comes first and he wants to be sure that nothing intrudes on that. "We've been doing this for getting on for 50 years now," Iommi said. "It's about time we draw the line, don't you think? It's been great but it's time to stop now." He continued: "Don't get me wrong, I still love gigging. It's all the travelling and the exhaustion that goes with it that's the problem. That side of things has a big impact on me. Yes, we may fly in luxury, stay in the very best hotels, ride in the most comfortable limos, but there's still a physical cost to touring. Even when we build in rest breaks — I have to have blood tests every six weeks — I find it tough going. You take a long haul flight, arrive somewhere at five in the morning and book into a hotel. There's the soundcheck, the promotional work, the gig itself, then you're back at the hotel to collapse into bed. Then next day you get to do it all over again." 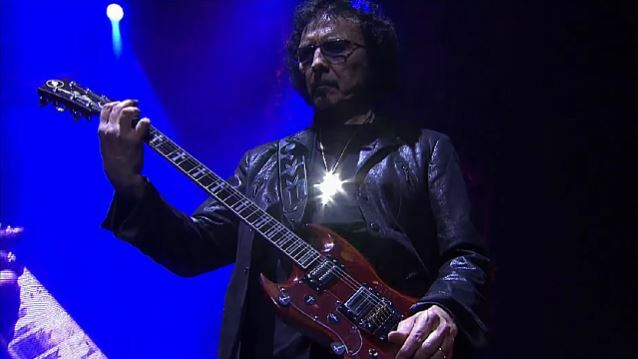 Iommi added: "I love being up there onstage, playing with SABBATH. What I don't love is all the other stuff necessary to enable that to happen. None of us are getting any younger, you know." SABBATH's farewell tour will be "around a year long, including the rest breaks," said Iommi. "Maybe a little longer. It'll be a big production and we'll be putting together a setlist that traces the band's career from our eary days in Birmingham. All the fan favorites will be in there, and we're looking to include some songs we've rarely performed live, too." Regarding the possibility of original SABBATH drummer Bill Ward returning to the band for its final tour, Iommi said: "That depends on Bill. We met up again six weeks ago and we got on great — but it's down to Bill." 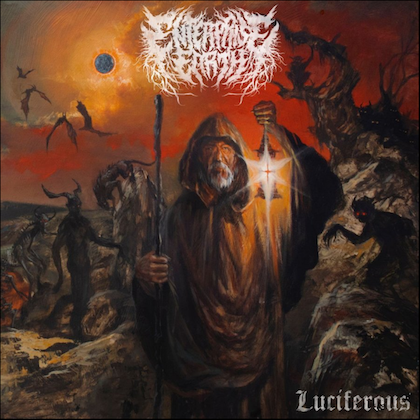 He continued: "Our plans as they stand are to tour with Ozzy, Geezer Butler, myself and Ozzy's drummer Tommy Clufetos, who did so well on the last tour. He can do things with drums that still amaze me. His solos last time out were mind-boggling." On the topic of a new SABBATH album to follow 2013's "13", Iommi said: "I've been busy writing songs ever since the '13' sessions. At that point, we thought there might be another SABBATH album. But that's up in the air now so I don't know when or where they might appear. The tracks are ready, though." "13" was the first SABBATH album in 35 years to feature singer Ozzy Osbourne, Iommi and bassist Geezer Butler together, with Bill Ward the only founding member to sit out the record and world tour. Ward sat out the recording of "13" and its subsequent tour over what he claimed was a contract dispute, while the other members of SABBATH hinted that he was not physically capable of touring and performing. The feud flared up again recently with Ward and Ozzy exchanging bitter and sometimes emotional open letters via Facebook. Ward told Rolling Stone in April that he was "quite capable" of playing a full BLACK SABBATH show and demanded that Ozzy apologize for his remarks. Ward admitted to past health and weight problems but maintained that he was in shape for recording and touring. He added that his terms for a "signable" contract with SABBATH included "better money" for festival shows along with publishing money. Ozzy responded to Ward's letter, saying, "Bill, stop this smokescreen about an 'unsignable contract' and let's be honest. Deep down inside, you knew you weren't capable of doing the album and a 16-month tour." Brad Wilk played drums on "13", while Tommy Clufetos was behind the kit for the group's world tour.